It’s not a stretch to say that Disney World and Disneyland are the Buckingham Palace and Taj Mahal, respectively, of the theme park world. But, unlike their royal architectural cousins, the Disney parks are not content with solely providing visitors with a memorable experience. 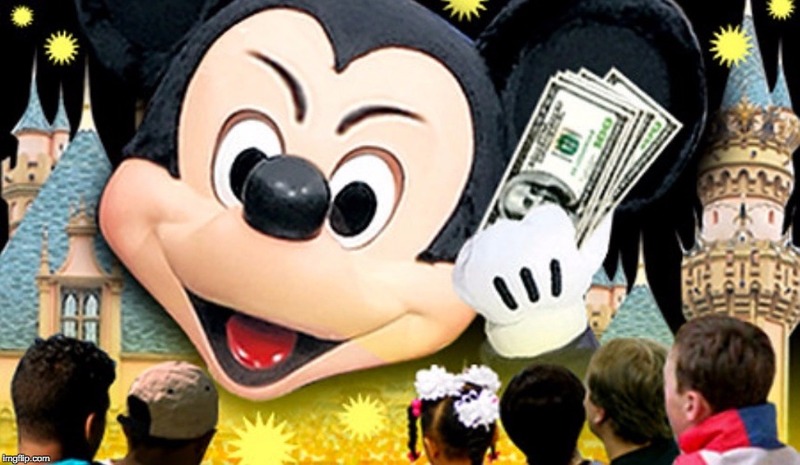 For Disney, it’s all about the almighty dollar. I believe Disney World and Disneyland are two of the biggest rip-offs in entertainment history. And, now they’re taking their royal scam to a new, and even more, obscene level. Starting today, the two parks will begin offering tiered pricing during peak seasons. Talk about pouring salt on the wound! Were one to select Disney’s new platinum level, for example, it would cost $125 per person to just get into the damn park. Multiply that number for a family of four and The Magic Kingdom will cost the Smith, Jones or Palmer families a cool $500 per day. But, where Disney has truly excelled is in their a la carte pricing. Snacking at one of their in-house, fast food joints will easily cost that same family of four a C-note or more. And, if the horrific weather that envelopes Orlando in particular should suddenly produce a torrential downpour, Disney is all set to sell you Mickey, Minnie and Donald rain slickers for a cool $45 a pop. Bernie Sanders and Hillary Clinton have completely missed the mark in limiting their attacks solely on Big Pharma and Wall Street. They need to attack the Mouse. The saddest thing about the royal scam is this: countless middle-class families save their earnings for an entire year just to take the kids to one of the theme parks. And, what does The Magic Kingdom do to show its love and compassion? They continually jack-up their obscenely outrageous costs in order to satisfy Wall Street investors. I’m hoping that, before the primary season ends, Bernie, Hill and any other politician who claims to despise the one-percenters while advocating on behalf of the disappearing middle class, would call out Disney for their ridiculous pricing. I wonder if Walt ever imagined that his company would become part of the problem and not the solution? 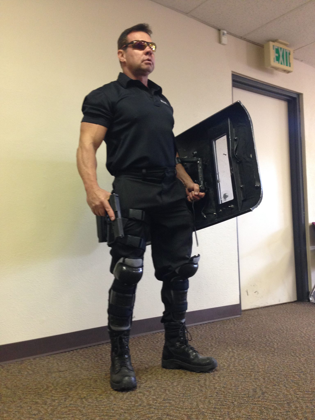 The book will be released in September and, yes, Virginia, Waldorf Press and Whitus, (pictured, left, in full battle gear, standing ready to protect the US of A) a 26-year-veteran of the Jefferson County Sheriff’s Office in the Denver, Colorado, area are in search of sponsorship for a nationwide tour! Grant Whitus is a 26-year veteran of the Jefferson County Sheriff’s office in the Denver, Colorado area and retired as a Sergeant. He served 17 years on SWAT, the last seven years as the SWAT Team Leader and is an expert in Mass Shootings and is also certified as an expert in Close Quarter Battle, which is classified as a firearms shoot-out within a close distance such as a school room. Grant has received 16 Medals including five Medals for Valor and is the most decorated employee at the Jefferson County Sheriff’s office. In 2002, Grant and his SWAT Team were honored as “Police Officers of the Year”. Grant has been featured on: FOX NEWS, ABC News Denver, CNN, CBS News, ABC New York, FOX Business, ABC News Radio, FOX and Friends, Al Sharpton/Politics Nation, Dr. Drew Pinsky, MSNBC, The Lip TV, Law Enforcement Today, MSNBC Morning Joe, iHeart Radio, NPR, NBC Affiliates, CBS Affiliates, ABC Affiliates, FOX Affiliates, Al Jazeera TV, Examiner.com and The National Review, to list a few. Grant’s upcoming book “Bullet Riddled” is published by Waldorf Publishing and will be released in September 2016. Please see attached a Power-point presentation for sponsorship. Please let me know if you have interest. Talk about capitalizing on misery and woe. Bullet Riddled is a pre-meditated, opportunistic attack on the fear that currently permeates America and arms the hate-driven candidacies of certain politicians. And yet, sadly, Waldorf and Whittus can get away with this oh-so-sleazy tactic Scott-free because we live in a free society (ironic, no?). Were I to counsel Whittus on his upcoming, Bullet Riddled book tour, I’d advise him to avoid such venues as Virginia Tech, Newtown CT, Charleston SC, and, of course, San Bernardino. Something tells me neither the local press nor the grieving families will be either welcoming or willing to open their pocketbooks to pay for this drivel. And, if Whittus is truly in need of sponsorship money, why not go directly to the Fort Knox of guns: the NRA? Hell, they’d probably provide him with a private jet fully armed with flak jackets and AR-15’s. One final note: Let the record show I am neither advocating for the protection or elimination of the Second Amendment. But, I am calling on a nationwide boycott of sordid attempts such as Bullet Riddled that seek to do nothing more than capitalize on the horrific situation we now endure on a daily basis. Yelp is world-famous for allowing consumers to sing the praises, or totally trash, the reputations of restaurants, retail outlets and just about any other product or service they experience. So, it’s pretty big news when Yelp gets Yelped. So, what happens when Yelp gets Yelped by a Yelp employee? When I was 25, I was also trying to figure out how to manage my bills, but I wasn’t crying in a bathtub. I was thanking my lucky stars I had a job that not only paid me on a regular basis, but helped me make connections with people who would help further my career later in life. At the age of 27, I’m STILL trying to manage all of my bills. And guess what? I still take side jobs to make ends meet. So, note to Talia: You’ve now labeled yourself as a complaining, whining little girl. In fact, you may very well have Yelped yourself out of a bright, and successful, future. What a GREAT life lesson for all Millennials everywhere. Think about the implications and ramifications of any rant before you hit the send button. And, if you don’t like what I’ve written, put it on Yelp. When we were hired as Yahoo’s BtoB agency about six years ago, the new chief communications officer told us he had one goal: to turn Yahoo into a verb (i.e. “Hey, Syd, would you Yahoo the word truncated for me” or “What’s the origin of the phrase, ‘In like Flynn?’ Dammit Birkhahn, Do I look like Daniel Webster? Yahoo the damn thing.”). 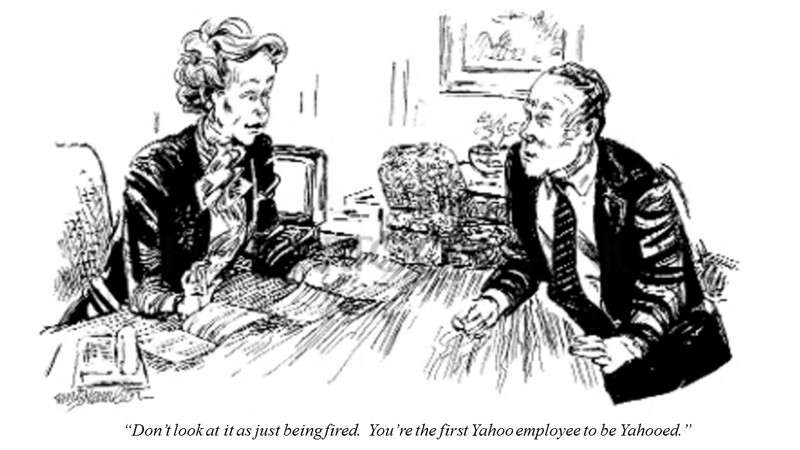 Needless to say, Yahoo never came remotely close to supplanting Xerox, Kleenex or any other product to find its way into the popular business lexicon. Instead, under the aegis of then CEO Carol Bartz (easily the most foul-mouthed executive I’ve had the misfortune to meet), Yahoo continued its death spiral. Then, Queen Marissa Mayer ascended to Y’s throne, promising to restore the kingdom to its one-time greatness (and, who knows, maybe even turning Yahoo into a verb in the process). Alas, a New York Times article reported that Yahoo’s just started a formal process that could result in selling all or part of what’s left. So, Mayer’s strategy of buying small companies that few had ever heard of, jettisoning significant capabilities and alienating thousands of workers by ending telecommuting, failed miserably. In fact, Queen Marissa may very well be remembered as Silicon Valley’s answer to Anne Boleyn (while, hopefully, not suffering the latter’s dreadful fate). 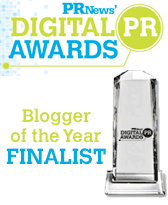 And, speaking of going, I better wrap-up this blog STAT or I’ll be fired for Yahooing the start of yet another meeting. There are a lot of ruffled feathers at NBC thanks to the recent announcement that network news anchor, Lester Holt’s, 29-year-old son had just been handed a plum anchoring job on the network’s flagship NYC station. Holt’s 29-year-old son was chosen over many older, more qualified candidates, according to disgruntled sources. But, industry analysts say, NBC has always been notorious for playing the nepotism game when it comes to hiring the offspring of their top journalists, celebrities or national political figures. In fact, insiders say NBC stands for Nothing But Children. There’s absolutely nothing wrong with hiring family members or close relatives. We have a fair number of relatives in our Peppercomm family, many of whom start in junior positions and work their way through the organization based on skill and merit. NBC’s big mistake is to immediately place these lightweights in positions of power (thereby undermining the network’s credibility as well as stirring up a hornet’s nest of resentment within the hard working, rank and file who HAVE paid their dues). This type of myopic favoritism isn’t unique to broadcasting. Several PR firms are absolutely notorious for following the NBC pattern. One is overrun with all sorts of family members who have been appointed by the CEO, and placed in positions of power. A friend of mine who worked at this particular agency, and happened to lead the technology practice, said he was told in no uncertain terms to let the CEO’s daughter (a recent college graduate) determine which accounts she’d work on, as well as how many hours she’d work each week. Imagine the impact on other members of the group. In other, high profile instances, we’ve seen large agencies first split into factions and then burst at the seams because the founder’s kids refused to play nice with one another. 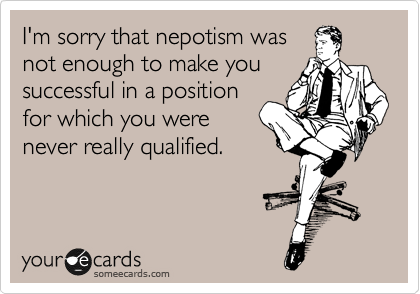 Nepotism can be a slippery slope if it isn’t managed properly. We currently have three employees who are related to senior management. But, each started at the very bottom of the barrel, proved their worth and received raises and promotions in line with their accomplishments. Leapfrogging deserving candidates to award positions of power to friends and family of the high and mighty is not only wrong, it calls into question the overall judgment of the senior management team. I think the NBC saga is a great wake-up call for CEOs of every organization. Talent should always trump bloodlines. I made the mistake yesterday of deciding to catch a flick whose plot appeared to perfectly capture the swirling winds and driving snow of the greater New York metropolitan area. And, so, I trudged to the local cinema to watch “The Finest Hours”, which one reviewer described as a “riveting account” of a true nautical disaster. (Note: books and movies about nautical disasters attract me like idealistic, young voters to Bernie Sanders). 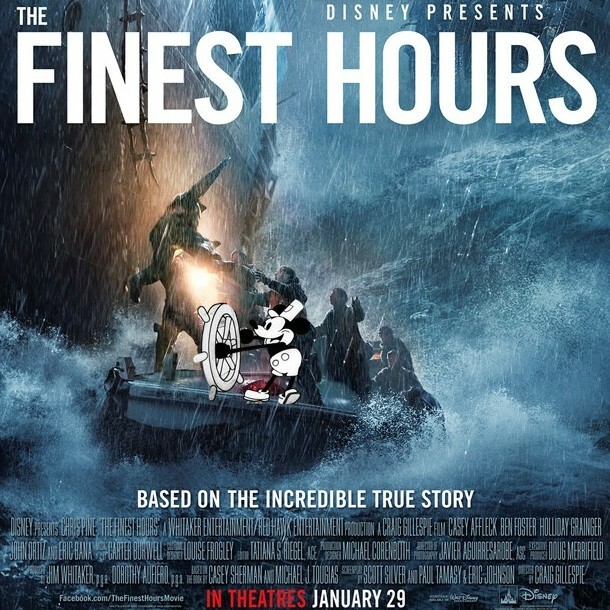 But, alas, I didn’t realize that “The Finest Hours” Is a Disney production. As a result, the plot was not only watered down and sanitized to appeal to the eight-year-old in all of us, but the type casting was beyond ridiculous. Not only was there a bogus, and totally unnecessary, romantic subplot, but the hardened survivors of the battered tanker and the tough-as-nails Coast Guardsmen sent to rescue them displayed better manners than the cast members of “Leave it to Beaver.” This is reality? Aside from the sweet smiles, nodding winks and hale-thee-well pats on the back exchanged by victims and rescuers alike, there was zero suspense and an oh-so-predictable ending. Even an eight-year-old had to know this pic was going to end up with grins all around. But, I can’t blame Disney for my lack of due diligence. I can diss them, though, for suggesting the movie was anything but “The Jungle Book” on the high seas. This latest Disney diversion reinforces my belief that the brand is whip smart, but 100 percent disingenuous. Visiting their theme parks costs more than a fully-equipped Lamborghini and their ever-expanding, and highly misleading, marketing forays reek of obfuscation. In fact, in some ways, the ersatz content of “The Finest Hours” parallels the absurdity that is the Republican Party presidential campaign. While I’ve never trusted The Donald or Ted, it now seems I can no longer rely on Mickey or Minnie to be honest with me. Note to self: Never, ever fall for Disney’s hype again. More and more organizations of all types are recognizing the amazing ability of humor to break through to key audiences and story tell in new, and compelling, ways. Ella Al-Shamani is a 31-year-old National Geographic emerging explorer, who digs for fossils in the Middle East. She also happens to perform stand-up comedy. The latter can’t be an easy task when one is rooting around inside King Tut’s tomb. But, Ms. Al-Shamani is a young woman on a mission. She says the field of science has a very real communications problem when it comes to engaging young people, and young girls in particular. Many aren’t interested in pursuing a career in such an arcane and, some might say, dry and dusty occupation as paleoanthropology. “I think comedy is the next stage in the evolution of how we present science,” she said. That’s music to my ears. Give that woman a T-Rex humorous bone fossil! Ms. Al-Shamani is just one example of an entire cohort of Millennials who grew up embracing comedy and, in many cases, obtaining their daily news from the likes of Jon Stewart. It stands to reason that, as these Millennials begin assuming executive positions in any given field, they will harness the power and authenticity of comedy to engage new and/or heretofore difficult audiences to connect. We’ve recognized this for years, and even have a stand-up comedy training service offering for clients. Alas, like the dinosaurs themselves, we may have been ahead of time. Happily, though, there doesn’t seem to be any massive meteor speeding its way towards earth anytime soon. So, wake up, corporate America and understand that the Millennial or Gen Z target you’re trying to reach absolutely adores comedy and WILL respond to your content if it strikes a chord. 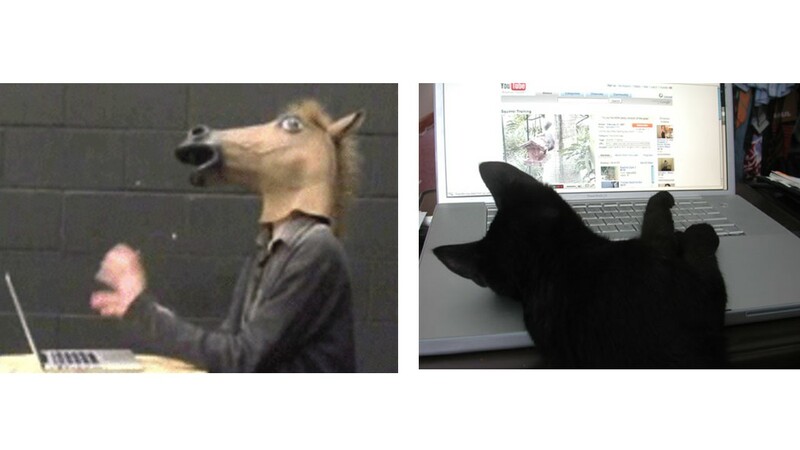 That said, forget about force feeding humor on emerging decision-makers or using it to push your product or service. 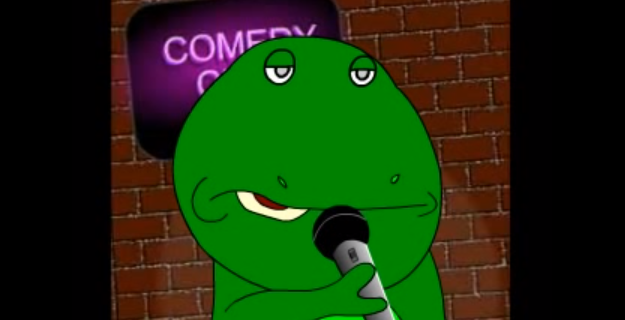 They’ll disregard your content quicker than a velociraptor would a hunk of inedible Brontosaurus gristle. And a tip of the shovel to Peppercommer and resident anthropologist Abby Trexler, for suggesting this topic. TV meteorologists and storm team trackers alike seem to be competing with one another for Golden Globe and Academy Award nominations when it comes to covering approaching storms. Has weather coverage become 90 percent entertainment and 10 percent information? RepTV co-hosts Paul Merchan and Steve Cody recently spoke to Edgard Nuñez, a meteorology blogger and former producer of NY1’s “Weather on the Ones,” to discuss weather reporting and the round-the-clock reality-TV-like media sensation it’s become. Peppercommer and erstwhile Wall Street Journal reporter Joe Checkler donned his ear muffs, galoshes and objectivity goggles to participate in the conversation. A just released survey undertaken by Grammarly, a writing app that corrects spelling and grammar mistakes, ranked the Super Bowl teams’ best and worst grammarians. As it turns out, Trai Turner, a guard with the Carolina Panthers and Malik Jackson, a defensive end with the Denver Broncos, finished dead last on the list. Ironically, both are graduates of Southeastern Conference schools (Turner attended L.S.U. and Jackson is a graduate of the University of Tennessee). It makes one wonder if SEC universities are more interested in producing athletes or students. The Grammerly rankings represent an average based on 60 to 100 Tweets from each player’s personal Twitter account. They then identified errors in the players’ tweets such as misspellings, mixed-up homonyms (i.e. your vs you’re) and subject-verb disagreement. – The Panthers’ players are more literate, having edged out their rivals by a margin of two mistakes. – Special teams’ players have the best grammar overall. – Offensive players proved to be the most offensive when it came to roughing up the English language. – Panthers’ fans bested their opposite number with an average 6.6 spelling, grammar and punctuation score while the Denver fans made 7.5 mistakes. Bottom line: If you’re handicapping the Super Bowl, and wish to factor intelligence into the equation, I’d go with Carolina. That said, one would also have to investigate which team has the most SEC graduates on its roster. That seems to be a real show stopper when it comes to literacy.